After graduating from Fudan University in Shanghai, P.R. China, Phillip departed his homeland in 1991 to pursue a doctorate in Molecular Biology in the US. At that time, the world he left behind had an undeveloped stock market and almost no insurance industry. The world he entered was another story—a sophisticated, evolving, and increasingly complicated marketplace. Fascinated by these new opportunities, Phillip decided to make a radical change---entering the growing field of financial services. He started his financial services career in 1993 with New York Life as an agent quickly becoming one of the top advisors at Eagle Strategy, New York Life's RIA subsidiary. Phillip holds several professional designations and a degree in the financial planning field including the Certification in Financial Planning (CFP). He is a Chartered Financial Consultant (ChFC) and a Chartered Life Underwriter (CLU), and holds a Master of Financial Services (MSFS). 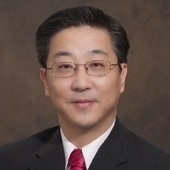 In order to serve his clients with unbiased advice, Phillip Chen founded J. Lion Financial Group in 2000, a successful independent financial advisory firm in the metropolitan Philadelphia area. In 2010, J. 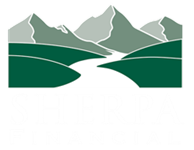 Lion Financial Group joined forces with other like-minded professionals to be part of Sherpa Financial to provide comprehensive solutions to clients' ever increasing financial and related personal needs. "I value getting to know our clients and their unique situations. The most rewarding part of my job is cultivating these relationships and helping people achieve the goals they've envisioned." And Phillip further clarifies his work's mission as the ability to provide clients from around the world long-term, value-added financial counsel and investment management with exceptional service. Phillip is a member of the Financial Planning Association and Estate Planning Council of Montgomery County where he resides with his wife Melina and their daughter Alisa. On the rare occasion he has leisure time, he enjoys travelling and reading.